Smartphones are meant to make life easier, right? They’re an amazing tool to make our lives better and serve us, or so we’re led to believe. So why do we leave our phones on all the time, becoming slaves to every single person and company that chooses to ring us or text us, whenever they want? Not whenever WE want them to contact us – whenever THEY want to contact us! That’s a huge difference. 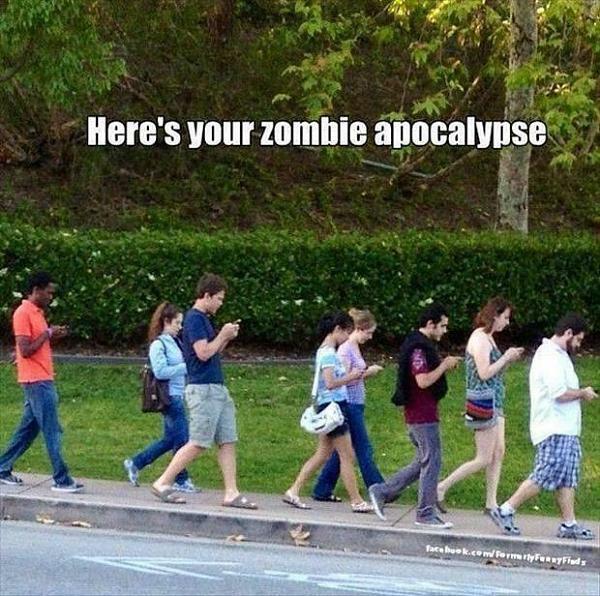 Seems to me sometimes that our phones are there to serve everyone else but the person who actually owns the thing! Then there are the social issues. Safety and Facebook and stalking and all that horrible stuff aside, I’ve been on coffee dates with friends, and next thing you know, they’re texting someone else under the table. They think maybe you don’t notice. They think they’re being sneaky. They think it doesn’t bother you or annoy you. But it does. Heck, I’ve been on supposedly romantic dates and had my date texting someone under the table! I’ve been in group situations where I have been the only one at the table not receiving calls and texts from outside. It makes me wonder why we bothered getting together in the first place! It’s rude. I must be old-fashioned, because I thought that a meeting between two people was supposed to be a meeting between two people. Not a-meeting-for-two-people-plus-whoever-felt-like-texting-my-companion-at-the-time. I love my smartphone. It enables me to keep safe when I’m out driving at night, and it saved my skin when I had a flat tyre a few weeks back after dark in winter, with two kids in the car and an event to get to. I was able to ring the roadside assistance and get back moving again in no time at all (thanks AA!). Likewise, I can keep in touch with my friends, plan get-togethers, text my buddies, and keep up with the news – all from anywhere at all. But what I don’t allow is random people to call me. I don’t allow people to call me when it’s inconvenient either. I don’t allow calls when I’m at a private meeting, or a gathering with friends. My phone is a service for me, not for other people or companies to use. If my phone were for them, they’d be paying the bill. Likewise, I am aware that using a phone under certain circumstances is rude and inappropriate. Most smartphones these days have distinct ringtones you can assign to different people. You can easily choose which to allow to be heard and which to remain silent. And you can block certain numbers too. In my case, my children’s school number always rings through on top volume, as do two other family numbers that have priority in my life. If the school is ringing me, you can bet there’s a good reason and I want to know about it! All other numbers that are stored in my phone (i.e. known numbers of friends, family and other contacts) are silent but on vibrate. And unknown numbers (random callers) go straight through to my voicemail without vibrating or ringing. In other words, I have complete control over what calls I receive and how. I also do not give out my mobile number in competitions, to companies or to strangers. It is, in essence, a “silent number”. This keeps the number of random texts and messages down significantly. – Did your companion(s) invite the other person along? – Are they sharing the conversation? – Do they even know the other person? – Might your call disrupt another person’s enjoyment of the event (i.e. movie, dinner, concert, party)? – Would you like it if your companion held an extended conversation with someone else in front of you? – You are ignoring your companion when you text and not giving them your full attention. Do you like being ignored and treated in this way? I believe the only calls that are acceptable to take during a social event are to do with planning and family i.e if your babysitter rings or a child needs to be picked up. Obviously family emergencies take precedence and any reasonable companion would be fine with this. Use common-sense (unfortunately not that common!). Free yourself of the phone! Finally, Try to think of your phone as something that assists you, not others. It’s there to serve you, and to make your life better. 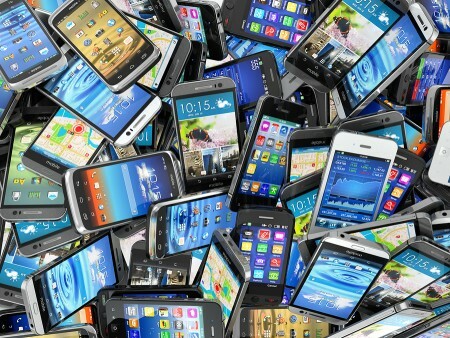 Are you addicted to your phone? One way to find out is to install an app that tracks how much time you spend on your phone. Quality Time is an Android App that enables you to check how much time you’re spending on your smartphone. Moment is a similar app for Apple devices. You might be surprised to find your phone is ruling you, not helping you, and that a “digital diet” is a good idea. At the very least I’d seriously suggest you think about turning off the GPS so that various companies have a harder time tracking you, to protect your privacy. Here’s more information about privacy protection on smartphones: Smartphone apps: is your privacy protected? and Don’t be dumb about smartphone privacy. Oh, I so agree. If they erected a statue of typical human being in our era it would be one staring down at his/phone. This made me laugh out loud, because it is soooo true! I also agree, I’ve always taken the view that the phone is for my benefit. My husband is of the opposite view and it’s caused a lot of friction when we’ve been out together and he’s had long, un-urgent chats with friends or his parents. My work is about 75% internet based, 20% phone, and 5% in person so I am a big fan of my Samsung Galaxy, but am a bigger fan that it has a “ultra power saving mode” which turns off all notifications for emails & texts, and a “mute” (not just vibrate) mode to truly prevent interruptions. I do this not only at night but also during meetings, time with my husband and friends, and honestly when I just need a tech break! And insisting phones are not at the table, no matter HOW badly we want to google what something is that we’re talking about at that exact moment, is big. You are preaching to the choir there! I *hate* phones being on the table, and we don’t allow tech at the table when we’re socialising. It’s a blanket ban in our house (and no computer time for the kids until everyone has finished eating and the plates are put away) and it works well! It really is an epidemic! I hate my phone with a passion (although I’m the first to admit I’m addicted to it), purely because it makes people believe I am available to them 24/7. I’ve disconnected my email and facebook on my phone, and I’m considering going back to my old flip phone – I’ll still have it if I need to make an urgent call or text which is the only REAL reason I have one. And cutting my bill to a quarter sounds pretty good too!